Hi everyone! Even though I have been posting twice a week, they've actually been scheduled in so I feel like I have been away from the blogging world for sooo long. The past month or so has been so hectic, I've had several assessed essays due in as well as my 10,000 word Dissertation, and then two weeks after that my final exams at university started. My last exam was yesterday and so I am now back home in Lincolnshire chilling out in my pyjamas! 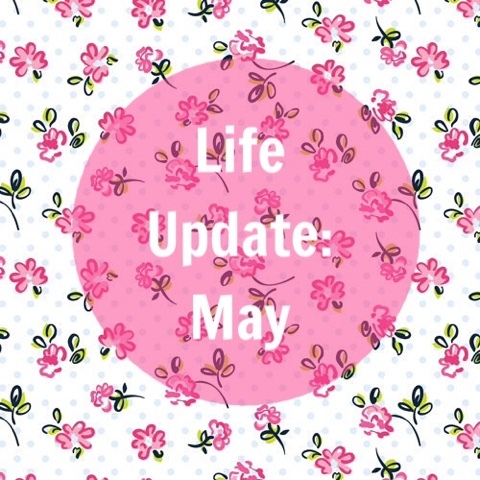 I thought I would do a quick Life Update post because they've been really popular in the past and when I've been away for this long I feel like there's so much to tell you all! I think my exams went well overall, I always find it difficult to judge but I know that I tried my best and couldn't have asked anymore of myself. I am still in shock that I have finished my Undergraduate degree and I don't think it will sink in for a few days. Part of me is super excited for the adventures ahead, but I'm also a little sad. University has been a real rollercoaster of ups and downs for me, but some of the people I have met along the way are just incredible people and it makes me sad to think I won't be seeing them everyday. I'm also nervous because I don't have the next stage of my life planned yet. And I am a serial organiser. So for me, the fear of the unknown is still taking over my brain a little at the moment. But I have a job interview arranged for mid June which I'm really REALLY excited about as it is for my dream job, and fingers crossed they see some potential in me. I'm looking forward to having a nice few months with no stress now. My 21st birthday is coming up in early June, and I have a family party to look forward to and my best uni pal is coming up for it which I'm really excited about. Me and my Mum have also planned a really exciting day in London on my actual birthday so I can't wait for that. I plan to keep up with my running and push myself harder, ready for my Race for Life in July. 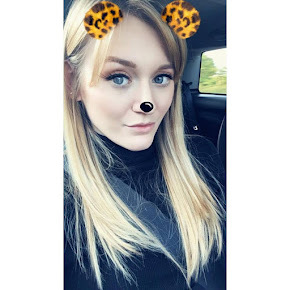 I will be receiving my university results in late June so can't wait to celebrate those, and I will also be attending Graduation Ball in mid June and have my dress and shoes already sorted for that! It's going to be at the Hilton in Birmingham so I'm really excited as I've never been to a ball before. My Graduation, mortar board, gown and all, will be in July so I'm currently making sure that is all organised as we have a little convoy of family members coming with us on my special day! I just hope I've done everyone proud and we have a really happy day making lots of memories. The rest is a little unknown at the moment. I'm going to take each day as it comes, taking up my craft hobbies again and applying for jobs and things. But I'm in a really good place at the moment and can't wait to see what the future holds! Good luck with your exams/coursework over the next few weeks if you have any. Do you have any exciting plans coming up? Yay - congratulations for finishing!! I finish next Friday and absolutely can't wait! Enjoy it!